Unlike US Navy and every other air force across the world, USAF has decided to transit to an all-stealth air force. But due to the Moore’s law, processing power doubles every 18 months – which means not only improvements in sensors that are already very capable of detecting stealth aircraft, but also that, as time passes, stealth aircraft is ever less capable against systems it was designed to counter – namely, active radars. Stealth relies on processing gain advantage over radar, by reducing return below treshold of what can be detected by radar itself. However, due to the Moore’s law, radars are becoming ever more capable. Further, stealth fighters are designed with minimum nose-on RCS, which means that they are easier to detect by aircraft flying in wall formation. At the same time, jammers benefit from Moore’s law too, which enables fighter-based jammers to rapidly close the effectiveness gap with stealth, or even surpass it. This purely theoretical thought exercise is not likely to be very relevant, however, as radar – being an active sensor – automatically gives position of aircraft using it away far before it can detect opposing aircraft, meaning that pilots will start shutting it down in combat as soon as losses due to its use start to mount due to radars’ use giving very important advantage of surprise to the opponent. Against both enemy aircraft and SAMs, dedicated jamming aircraft – ranging in size from converted medium-weight fighters to converted heavy bombers – are avaliable, and far more effective since they also protect other aircraft. Most discussions about value of IRST against stealth focus on airframe being heated due to air friction. This, however, is wrong for a very simple reason: any time a gas is compressed, it heats. And compression of gasses in front of moving object is a normal, unavoidable occurence – only difference is scale of compression, which depends on object’s speed. While aircraft do heat up less in rarer atmosphere, less atmosphere also means that more IR radiation – especially of longwave variety – reaches the infrared sensor. Further, at high altitudes – where stealth aircraft are required to operate – temperatures range from -30 to -50 degrees Celzius. At the same time, fighter supercruising at Mach 1,7 creates shock cone with temperature of 87 degrees Celzius. While PIRATE IRST can detect subsonic fighters from 90 km from front and 145 km from rear according to (somewhat outdated) publicly avaliable information, this range is 10% greater against supercruising fighter. At the same time, OLS-35 can detect subsonic fighter from 50 km from front and 90 km from rear. PIRATE’s own range is already comparable to that of fighter radars against 1m2 targets. (Note: Data used for both PIRATE and OLS-35 dates from 2008; it is possible that both have been improved in the mean time). Prototype Russian stealth aircraft PAK FA uses QWIP-based OLS-50M, so it is possible that QWIP technology may find its way into Su-27 family of aircraft. Identification can be carried out at 8 to 10 kilometers. Parts of aircraft’s exhaust plume are also visible from front, which should present no problem for modern IRSTs that are capable of detecting AAM release due to missile’s nose cone heating. Some IRST systems have laser rangefinder coupled with them, which means that they can be used to gain gun firing solution without usage of radar. While IRST is mostly immune to “beam turn” used to break radar lock, laser rangefinder may not be. Rangefinder, though shorter-ranged compared to IRST, would also have increased range at higher altitudes. IRST could also use sensitivity model (Atmospheric Propagation Model) to roughly estimate range and velocity of target without using any active sensors. (Interesting to note is that Soviet MiG-31s were able to target SR-71 by using IRST; at speeds both aircraft were flying at in these situations, MiG-31s front surfaces would heat up to 760 degrees Celzius due to aerodynamic friction. SR-71 was not much better off; fortunately, order to attack was never given). Astronomic IR telescopes can detect velocity of star down to 1 meter per second. This kind of precision would not be required for air-to-air combat, however, as closure rates between fighters could be up to 1 700 meters per second. This means that stealth aircraft has no escape – if it attempts to increase effective range of its missiles, it has to increase speed – but this increases IR signature and allows it to be detected from larger distance. If it attempts to avoid detection, it has to reduce speed, which means that it has to come closer to IRST-equipped fighter. USAF is obviously concerned about it – while IRST-equipped Super Tomcat was slated to be retired in 2008, it was hurriedly retired in 2006 under neoliberal stealth proponent Donald Rumsfeld. Both PAK FA and F-35 have IRSTs, but unlike PAK FA, F-35s IRST is optimised for air-to-ground missions, and is thus operating in appropriate wavelengths, reducing its range against aerial targets. QWIP IRST such as PIRATE or OSF has some very useful advantages over “legacy” IRST. Aside from longer range, they can be tuned for sensitivity in certain IR band. While normal IRST operates in microwave to longwave IR bands, QWIP IRST can operate in very longwave bands, allowing for easy detection of objects that are only slightly hotter than the background, with difference being in single digit degrees of Cenzius. It can also use several bands in paralel, getting “best of the both worlds”. While F-22 was designed to operate at high altitudes, as high as 15-20 kilometers, clouds only go up to 14 kilometers in some cases, with majority being below 4 500 meters – and even that only in tropics. All other stealth air superiority aircraft are similarly expected to operate at high altitudes. Ground radars have to be above any obstacles to radar beam, which means that areas such as small valleys and canyons are usually not covered. Anti-radiation missiles and cruise missiles are very reliable against stationary radar sites; ARMs are better against mobile radars, as there is no radar that can pack up and leave in the time that ARM requires to reach it. SAMs are no different in that regard, and as such they can be kept shut down by use of anti-radiation missiles. Without these two factors, however, stealth aircraft can be detected easily enough by long-wavelength radars, which completely ignore any practical amount of stealth coating, and are far less affected by stealth shaping measures than shorter-wavelength radars. These, then, can be used to guide IR SAM or IRST-equipped aircraft close enough for their IR systems to detect stealth aircraft. Numerical issues are probably the worst drawback of stealth. Stealth aircraft cost more and are harder to maintain than non-stealth ones. To demonstrate the actual impact, I will compare F-22 to two twin-engined aircraft designed to carry out similar mission to F-22s, but without stealth. While F-22 costs 250 million USD per aircraft flyaway, cost for Tranche 3 Typhoon is 121,5 million USD, and cost for F-15C is 108,2 million USD. As such, 50 billion USD gives 200 F-22s, 411 Typhoons or 462 F-15Cs. Sortie rate stands at maximum of 0,52 sorties/aircraft/day for F-22, 1,2 sorties/aircraft/day for F-15 and 1,2 – 2,4 sorties/aircraft/day for Typhoon (later value only assuming that design goals have been met). Thus, force bought would be able to support 104 sorties/day for F-22, 554 sorties/day for F-15C and 493 – 986 sorties/day for Typhoon. Historically, quality of aircraft was always unable to compensate for force disparity once latter was above 3:1. As such, it can easily be seen that F-22 is, strategically, worse choice than Typhoon or F-15. And while all numbers are not yet avaliable, it cannot be expected that F-35 will perform any better in this crucial area relative to Gripen and F-16 than F-22 did relative to Typhoon and F-15. Me-262, while by any measure a revolutionary aircraft, was not used in large enough numbers to have impact against Allied fighters. In the end, Me-262 shot down no more than 150 Allied fighters, with 75 of them being lost in turn, in large part due to Allied superior numbers allowing them to catch Me-262 on take-off or landing. Stealth aircraft are built under assumption that BVR radar-based combat trumps WVR combat. However, that assumption is unproven; neither AMRAAM or other BVR missiles were ever used beyond distance of 40-50 kilometers. In case of AMRAAM, usage was against aircraft with no radar, no IRST, no radar warners, no ECM, with badly trained pilots that were in most cases unaware they were under attack (and were not maneuvering as a consequence). Yet even in such perfect conditions, AMRAAM achieved 6 kills in 13 BVR launches, or Pk of 0,46. During Desert Storm, in conditions identical to above, USAF F-15s launched 12 Sidewinders for 8 kills, for Pk of 0,67. For same F-15s, AIM-7 Sparrow achieved 23 kills in 67 shots, for Pk of 0,34. Thus we have to take a look back at Vietnam. Why Vietnam? Simply because it was the last time US have fought somewhat competent opponent in the air. Even experience with IR missile suggests that Pk in combat against competent opponent will be far lower than above: AIM-9B achieved Pk of 0,65 in tests, which fell to 0,15 in Vietnam, to be improved to 0,19 with AIM-9D and J, whereas G model does not offer large enough sample for drawing conclusions. Yet even this was better than Pk for BVR missiles. While majority of AIM-7 shots were taken within visual range, during 1971-1973 in Vietnam, 28 BVR shots were made, resulting in 2 kills, one of which was a fratricide against an F-4 – a Pk of 0,071, as opposed to predicted Pk of 0,9 or more. During entire war, AIM-7D achieved 8% Pk, AIM-7E achieved 10% Pk and AIM-7E2 achieved 8% Pk. At the same time, guns had Pk of 0,28. In fact, summary by Burton of kills made during Cold War has found that, out of 407 missile kills he studied, 73 were made by Sparrows in 632 firings, a kill rate of 11%. Sidewinder achieved 308 kills in around 1 000 firings. Out of all radar-guided missile kills, only four were made at BVR – two already described shots in Vietnam that were carefully staged outside of combat, and two similarly staged shots by Israeli air force. His summary of these 407 shots concluded that most targets were unaware and fired from the rear, and that there were almost no head-on BVR shots due to high closing rates. Only way to positively identify the target was by the eye. When we take a look at the data above, a clear pattern begins to emerge: while Pk against incompetent opponent is significantly higher than against competent one, by a factor of almost five, relative weapons’ effectiveness remains unchanged: IR missiles achieve half the Pk of gun, and radar-guided missiles achieve half the IR missile’s Pk. Further, visual identification of target is still important, and is likely to remain so. In fact, during First Gulf War, majority of US casualties were due to the friendly fire, while in 1973 war Israeli pilots considered an on-board radar “essentially useless”, with Sparrow achieving one or no kills in that war. This situation will even worsen for BVR-oriented aircraft in the future, as IRIS-T has capability to intercept and destroy BVR missiles. While it definetly will not be perfect, it will reduce number of missiles aircraft actually has to evade. Time has also shown that maximum simplicity weapons and countermeasures, such as guns and flares/chaff, are usually most effective. This is unlikely to change. Pilot competence was always dominant issue in Air to Air combat. During German invasion of Poland, several Polish pilots became aces in 362 kph open cockpit fighters, when fighting against 603 kph Me-109, an early warning about importance of pilot skill. This was again shown when German fighters fought outnumbered in invasion of France, when higher-performance Spitfires and equal-performance Hurricanse fared poorly against Me-109s, which were flown by far more experienced pilots using tactics derived from actual combat as opposed to air shows and unrealistic peacetime exercises. Late in the war, Luftwaffe was unable to mount serious opposition not due to the lack of air frames – Allied bombing did not have major effect on German industry – but due to the lack of pilots. Yet stealth aircraft’s large maintenance downtime prevents pilots from becoming familiar with their aircraft, and training enough in them. Modern fighters are also more complex than World War II ones, so lack of fighters is a very real possibility. AIMVAL tests, despite bias towards BVR, have also shown that ground controller assistance was more important to more complex and automated aircraft, and off-boresight missiles offered only slight improvement in results. Stealth aircraft are expensive, and do not provide bang for the buck, in good part due to them being built on flawed reasoning and inaccurate assumptions. While they can be very useful against backward coutries, even in these cases larger numbers of cheaper aircraft will perform better. Assumptions behind stealth ignore lessons of combat to date, including the fact that pilot skill tended to dominate air combat (especially when combined with numerical superiority), as well as existing counter-stealth technologies. Game-changing technologies were always simple in idea and execution, as relatively inexpensive. For comparision, stealth F-22 has cost of 12 690 USD per kg, F-35A costs 14 812 USD per kg, F-15C costs 8 504 USD per kg, F-16C costs 8 168 USD per kg, and Eurofighter Typhoon costs 10 942 USD per kg in its most expensive variant. It should be noted that F-22 lacks IRST and some of Typhoon’s systems, whereas F-35A is most loaded with electronics of aircraft listed. As such, stealth requirements add – without counting weight increase – 1 000 – 3 000 USD per kg. If the fact that F-22 is heavier than F-15C at least 7 000 kg is counted, stealth coating itself likely cost around 50 million USD, almost as much as my estimated flyaway cost of Gripen NG. IRST, on the other hand, costs around 1 million USD, and is far more useful than radar stealth. This entry was posted on March 30, 2013 at 6:00 am	and is filed under Uncategorized. Tagged: aircraft, cost, cost of stealth, of, radar stealth, stealth, stealth coating, usefulness, value, value of stealth aircraft. You can follow any responses to this entry through the RSS 2.0 feed. You can leave a response, or trackback from your own site. 4-VHF radars arent very accurate and are very easy to jam and are much bigger than regular radars making then less mobile. 1-VLO is also very sensitive to relative positions of two aircraft, and wavelength of radar in question. 2-IRST does work in bad weather. Not as well as in clear weather, but it does. 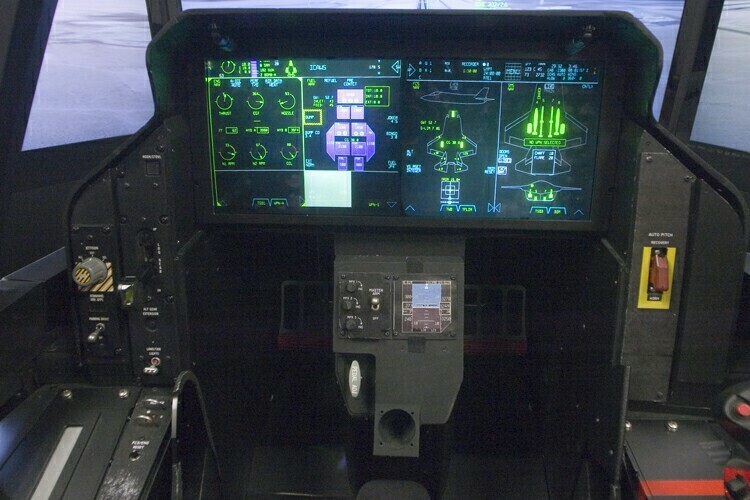 As for F-22 and F-35, IR reduction from these features is not large, and at combat speeds it is nonexistant. 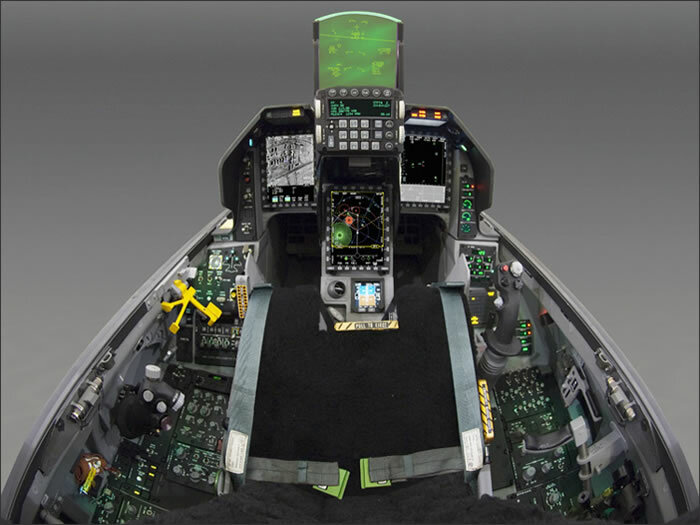 Since F-22 and F-35 rely on BVR engagements, and opponent will be cruising at Mach 0,8 – 0,9 anyway, they will have to choose between reduced IR detectability and capability to engage the opponent. 3-Any aircraft can use terrain, that is not something limited to stealth aircraft. 4-VHF radars are more difficult to jam than X-band radars since their wavelength is far larger than that normally used by fighters and consequently jammers have to be far larger. 5-In my opinion, F-22s should be equipped with IRST and kept in present numbers as scouts and SEAD/DEAD aircraft, whereas F-16 and F-18 should have their airframes zero timed so as to be able to serve until new, non-VLO, replacements can be designed. 2-OK, what the hell have SAMs to do with fighter aircraft? Fighters use IRST, SAMs have HF and VHF radars which are quite capable of detecting VLO aircraft at long range. 4-They see F-35 well enough, and are far harder to jam. 5-They lied about what F-22 will cost in the end, just as they lie about F-35 now… but F-22 is not exactly turkey, it is still capable fighter, if way too expensive and maintenance nightmare. 2-You are talking about VHF radars so i assume that you are talking about SAMs.Only the Flanker uses VHF radar on a fighter ,but its eaven less acurate than ground based systems…it cam give you a clue on location but its not enought to fire a missile at it.This system need really big antennas. 1-F-35 has IR reduction features, but these are limited and ineffective, especially considering its size. 2-I was talking about VHF radars in my 4th point, not second one, you mixed it up. And no fighter has VHF radar deployed, Flankers use L-band radars. -They didnt lie on the price…price was up because the USAF only bougth 187 of the original 750..
-But why did the USAF only bought 187?Problem is the plane is a nightmare:its electronic suit is outdated and is build in such a way that putting new devices on the aircraft is almost impossible…all the airplanes of the USAF are getting HMS(eaven the A-10)but only now is the F-22 getting a Scorpion HMS…and its being a challenge to put this simple iten on the plane.Forget about the IRST…even if it was on the original request. – F-22s cost is 250 million USD unit flyaway, 425 million unit procurement. Official flyaway cost is 150 million USD. – YF-23 was worse than F-22, more stealthy but less maneuverable. Of course, it is possible that it would have been cheaper in the end, but we don’t know that. – F-22 can drop bombs, so it is “multirole”, but in reality it isn’t worth much. 1-They know, but they don’t want others to know. 2-YF-22 is not same as F-22, F-22 is fair bit heavier (empty weight 15 metric tons for YF-22, 19,7 for F-22, or 32% increase). If F-23 was produced, it would have weighted 17,3 tons, and would have had wing loading of 350 kg/m2. Better than F-22, and it would also have had higher TWR, but question is how much thing would have cost. Your point stands though, except maybe for supersonic maneuverability – TVC does help there, as classic control surfaces are less effective (same reason why Typhoon has long-arm canards), but it isn’t that important anyway. After this, I have to ask myself what the hell USAF was thinking (bribes, probably). Both prototypes used large number of “off-the-shelf” components, it does not mean that YF-23 would have used these in production version. I dont think it was bribes…the USAF wanted the USN on board to reduce costs…and they judged the F-22 as more capable of being «navalised»…they also favored TVC when it wasnt even on the requirements for the ATF competition…sad but true,the pick the worst design from the worst company…LM didnt have experience in stealth and that is showing today in their maitenence problems. Many comments have appeared on the net referring to the F22 and F35 as game changers because of their 5th generation characteristics, but it should be noted that they have to obey the same laws of aerodynamics, thermal dynamics and practicality that all combat aircraft face. Those rules can not be broke, whatever defence contractors claim. To design an aircraft for one purpose is to compromise it’s capacity in another. A much-ignored fact is that to design an aircraft with a focus on low observability is to compromise it’s abilities in EVERY other capacity. Aerodynamics(due to plane form alignment), engine efficiency(due to reduced infrared signature), payload(Internal weapons bay) and the most important of all – pilot skill(due to low availability because of high procurement costs and extended maintenance). This is just a small scratch on the surface compared to the issues faced by these projects, the deeper you dig, the more comes to light. Pilots win wars. Quantity and quality. Aircraft win wars. Tactics, availability and reliability. Technology wins wars. Only when the first two rules are not broken. I’m preaching to the choir here arn’t I? Problem is that we are (in the West) living in technology-filled society, so many people assume that higher technology equals more capability without doing any research on actually important things – when researching air combat, one should first research its history, then go to current technology. But many don’t do it that way and as result get misinformed. 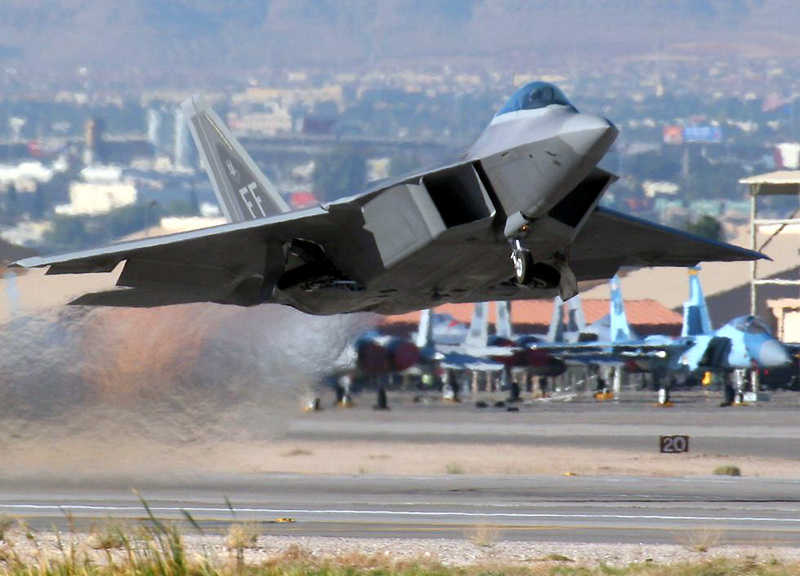 F-22 doesn’t outperform modern European fighters. It is too heavy, too high wing loading, to large, too costly, payload limited by weapons bays capacity, TVC that bleeds energy… kinetically, F-16A, Typhoon and Rafale outperform it, while F-15 is close behind. The F-16 beats or is au pair with most aircraft bellow 20000 ft as itallian pilots found out when the typhoon could not outperform the F-16.Abouve that altitude the F-16 is no match for the Eurofighter…but an F-15 pilot could have tould you that 30 years ago.Source:the Aviationist blog. I don’t doubt that on paper the F22 is a superior fighter. While it is not a personal favorite of mine, I would agree that it is a superb piece of technological engineering. My argument is centered more around attributes that I feel are relevant to a usable combat aircraft. Chiefly availability, and the actual pros vs cons of stealth capabilities. I won’t harp on about maintenance any longer cause I know it’s a boring subject, but it should at least be considered. Super cruise: The problem here of course, is that this is just a word. Quoted combat radius off the F22 site is 310+100nm with the 100 being for the super cruise portion. That’s 11 minutes worth of super cruising. Turbofan engines have historically been fairly useless at sustained supersonic flight, could you two give me the idea behind the choice of turbofan over turbojet engines? Stealth: Radar cross-section figures for this aircraft would have to be applicable to a front-on aspect. Above or below or from the side, there are huge flat areas that could easily present a strong radar reflection. This is worsened by the sheer size of this thing. It really is massive. Interesting article http://www.warfaresims.com/?p=755. Gives details on some of the issues that they are having with the stealth coatings. The f16 was never the plane that it was meant to be. Have a look at the yf16 if you get a chance. Much lighter wing loading, perhaps this is why the structural issues arose in the f16. I strongly suspect that the Viper outperformed the Eurofighter on those exercises more because of the experience of the guys flying it than anything else. When Poland was invaded in 1939, defenders in PZLs managed to down a large number of the much more advanced Messerschmidts. On inspecting this aircraft, this situation can only be attributed to the pilots flying them. The next p51? That’s what we’re all waiting for. Even the next f15/f16 would do. Sorry, that’s a little under 6 minutes worth of super cruising. YF-16 was designed with 7 g, F-16A was capable of 9 g maneuvers. As for exercises, unless there are specific comments or you know details (rules, limitations) they are not very useful. And yes, F-22 is excellent at supersonic speeds at high altitude, but Typhoon and Rafale can outperform it in dogfight. That’s within very dangerous distance of an AMRAAM shot to the face, how exactly does this kind of IRST help a plane like SU-27 or SU-30? Engagement distance is not an effective distance, by the time an enemy fighter gets to AIM-120s effective distance, he’ll be well within OLS-35 range (AIM-120 has 7 seconds of fuel to burn, so at Mach 4 that translates to ~10-20 km useful range against a maneuvering target). At high altitude, missile will have very poor maneuverability, and at all altitudes any maneuver executed means a major reduction in flight range. The USAF isn’t exactly going to revert to an all stealth fleet of fighters. They probably will end up ordering more F-16s for the lack of sorties that the F-35 will generate and F-15s will be retained and maintained. Until at LEAST 2028 and the airforce is weighing upgrades for 2030 like the the silent eagle upgrade. As for the USN they plan to operate super hornets through the 2030s, although it is unclear if they want “Advanced Super Hornets” they do want growlers and it is likely that F/A-18s will end up as guardians for F-35s on bombing missions. Like how the F-4 ended up guarding F-104s. Yes, I know. But that fact alone makes USAF stealth rhetoric incorrect. Stealth aircraft are specialist designs (F-22 would be excellent AWACS hunter, F-35 could be useful in SEAD/DEAD) but they cannot replace non-stealth fighters… and if you ask me, USAF has way more F-22s than it needs to hunt AWACS in a serious war. Well the F-22 will get to do that job but it will also squeeze into the role of helping the F-15 defend units of strategic values like the B-1B or the B-52. Probably at a rate of 2 F-22s per 4 F-15s. In other news the F-22 Raptor and F-15 Eagle seem to find themselves in exercises with MIG-29s and SU-30s, Who do you think won that one? I don’t know, depends on the rules… and none of these designs are really good, they are OK but the F-22, F-15 and Su-30 are too large and too heavy, while MiG-29 is a point defense interceptor that is not meant to maneuver, and you need to be a friggin’ octopus if you want to operate it effectively, or so I’ve read. 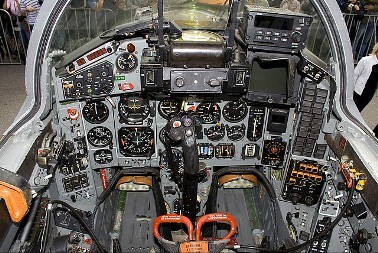 The MIG-29 cockpit is really cluttered. Which is the only part of the F-35 that impresses me. Looks like it might be correct, at least going by relative values.